Limestone District School board operates 65 schools across Eastern Ontario, catering for more than 20,000 students. The Board had identified a number of schools that were in need of urgent modernization and had earmarked nine of these for refurbishment during the school holidays, but progress on their plans had been stalled for some time when Belroc went to talk to them. It was clear that the Board needed guidance on how to proceed and a clear strategy for the works, which could be replicated in other schools in the future. The overall refurbishment project was aimed at providing bright, safe spaces appropriate for 21st century education while supporting a culture of achievement, success and wellbeing for all students and staff. The buildings themselves experience high volumes of foot traffic and a fairly significant level of wear and tear. The existing washroom fittings in the nine buildings dated back to the 1960s and had served their useful purpose. 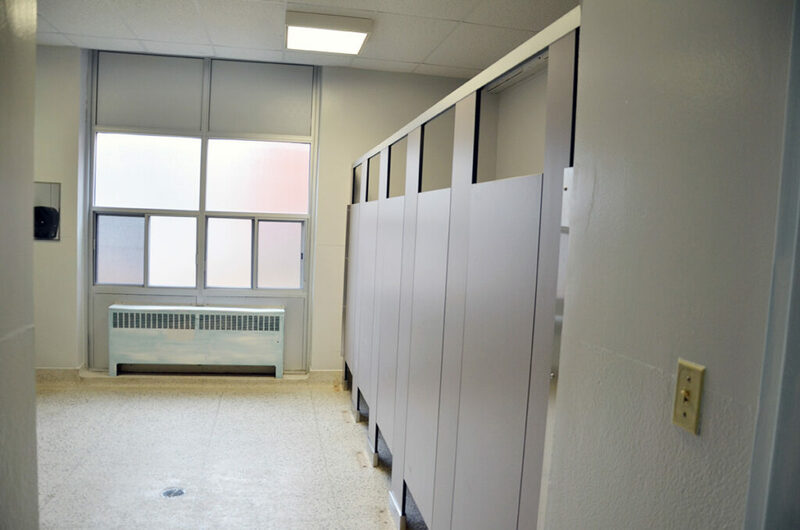 A key aim in the refurbishment of these spaces was to provide safe, robust and accessible facilities that would offer optimal functionality for both staff and students regardless of their individual needs, while adhering to strict budget constraints. From the outset, Belroc invested significant time and expertise into this project. Due to a wide geographical spread and the fact that many of the buildings were dated, a lot of time was required to compile measurements in order to provide comprehensive quotations. 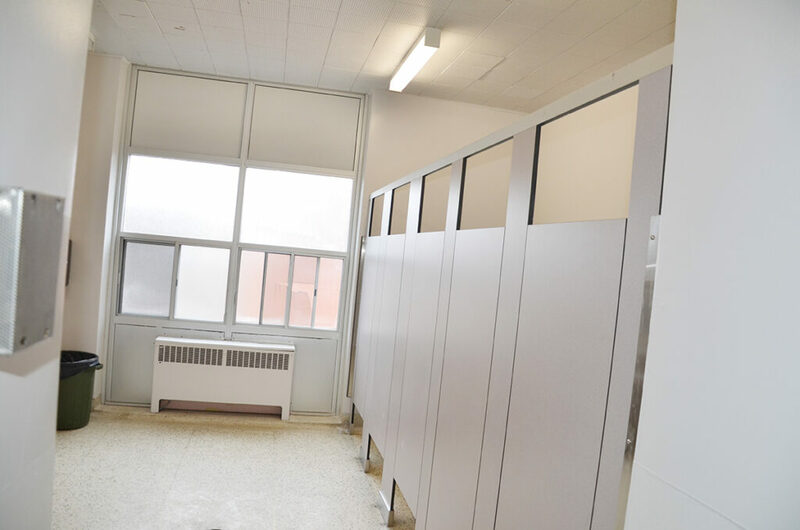 As a public sector organization, Limestone District School board was required to demonstrate best value for money and Belroc was pleased to work closely with the management in order to devise the most competitive quote possible, which also involved some negotiation with our suppliers to bring the project in on budget. 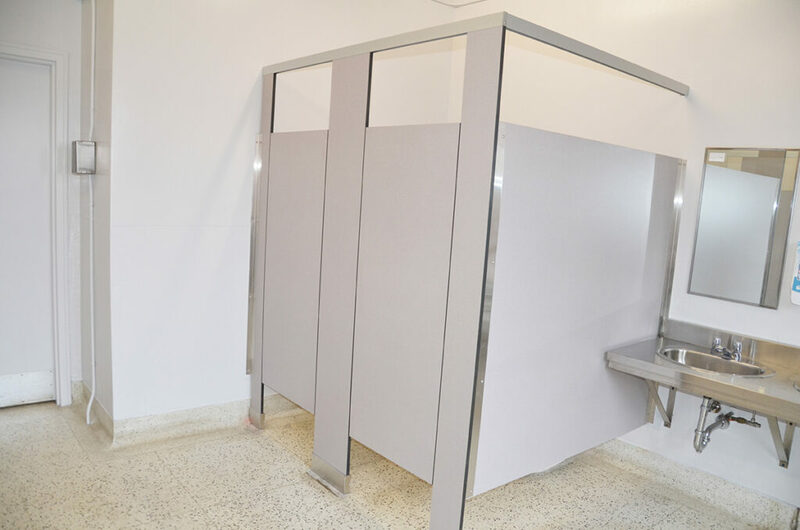 Belroc suggested a scheme using Bobric Phenolic Partitions, which offer supreme durability, water resistance, and ease of cleaning, including graffiti removal. Due to the time that had already elapsed before Belroc came on board, this project was undertaken on a tight time frame and completed within five months from the initial quotation. 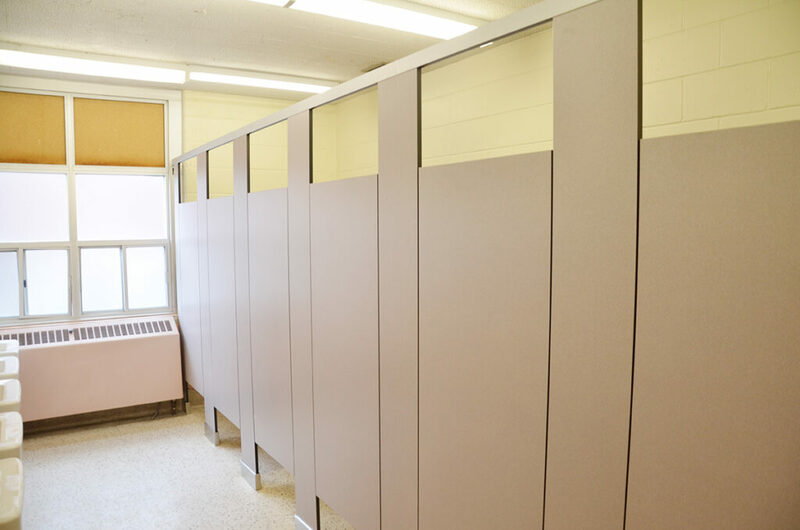 The addition of Bobrick Phenolic Partitions has created spacious, functional washrooms that inspire pride in the school facilities, making them a breeze to maintain. 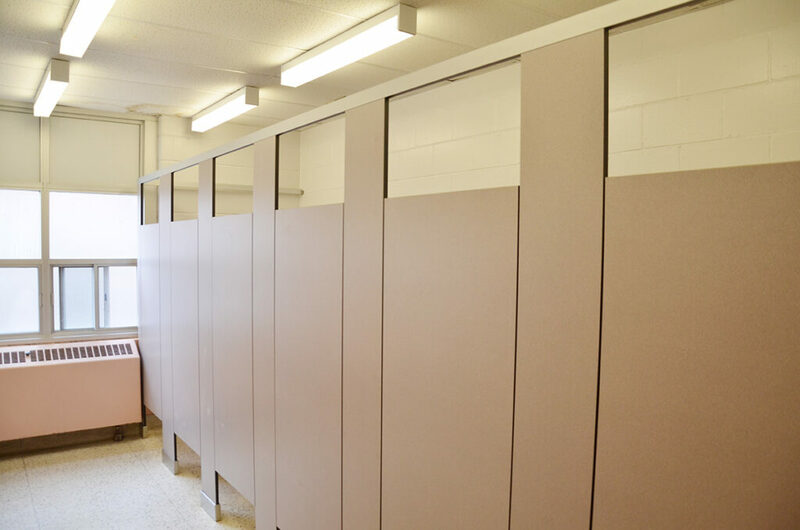 Throughout the extensive process of site visits, measurements and installation, Belroc gained an in-depth understanding of the client’s needs and as a result has been able to develop a standardized program for washroom refurbishment which can now be rolled out to other facilities. Belroc was delighted to be invited back to quote for the next tranche of improvement works, set to commence in 2019.